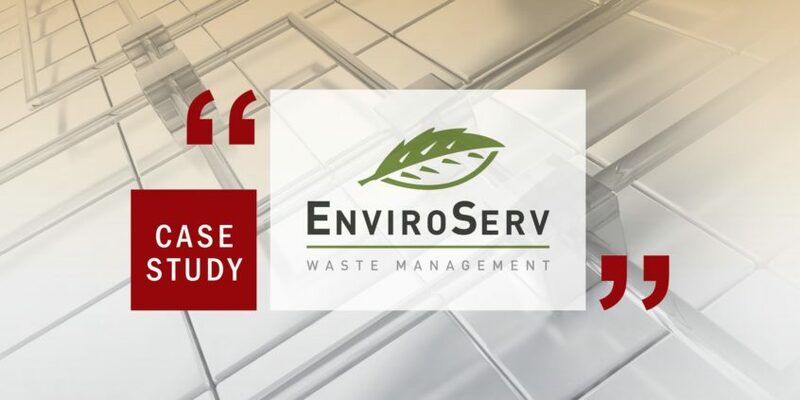 As a company that has been providing responsible African waste management innovations and solutions for more than 33 years, EnviroServ is well placed to partner with organisations looking for best practice sustainable waste solutions. EnviroServ offers products and services to cover the hazardous and non-hazardous waste management requirements of clients from all industries. EnviroServ has a complete on-premise IT environment, comprising hardware, software, infrastructure and networks, which serves the entire organisation. This is complemented by a strong and capable in-house IT department and development team, which customises software and applications or self-develops these, according to organisational requirements. “The additional skill and expertise we are able to access through this relationship with Ascent perfectly supplements our own abilities in this regard. We now not only have a trusted partner that assists us in managing our database environment, we are able to escalate issues when such a course is required, and Ascent is providing ongoing skills transfer to our people. This is co-sourcing at its best,” he says. “We now have very capable resources assisting us in a number of specific areas of specialisation and responsibility. We are very fortunate to have partnered with Ascent, as it is not easy to employ a single resource that can perform such a variety of tasks,” he states. According to Funck, the partnership between the two organisations is now nearly two years old and the stability it offers EnviroServ means that he is looking forward to implementing new projects in conjunction with Ascent in the near future. “For one thing, Ascent will assist us with our upgrades to SQL Server 2014 and the migration of our databases from the older hardware – 1GB backplane infrastructure – to the new 10GB equipment, as part of a back-end refresh we have planned. As part of this refresh, we will also be moving to an enhanced virtualised environment where we will be creating our own private cloud, so Ascent’s experience in this regard will also be invaluable,” adds Funck. Johan Lamberts, MD of Ascent Technology, suggests that the partnership continues to move from strength to strength. “We are eager to assist EnviroServ with this migration and upgrade project and will continue adding additional value to the company over the course of the forthcoming year,” he says. Looking ahead, Rautenbach points out that when it comes to issues around governance, security and vulnerability management, EnviroServ needs to be able to track the increasing number of database events that are occurring, as they occur. “We will be working closely with Ascent in determining which solution will best suit EnviroServ in realising this capability. As database management specialists, their input and understanding of our technical environment will no doubt assist greatly in guiding the product choice,” he concludes.